Today: It's time to get to know your favorite dairy better. There are few things better than a good hunk of cheese. It’s the cornerstone of some of life’s most memorable meals and snacks. So why not understand what you’re really talking about the next time you passionately exclaim your devotion to it? After all, to know your cheese is to love your cheese. 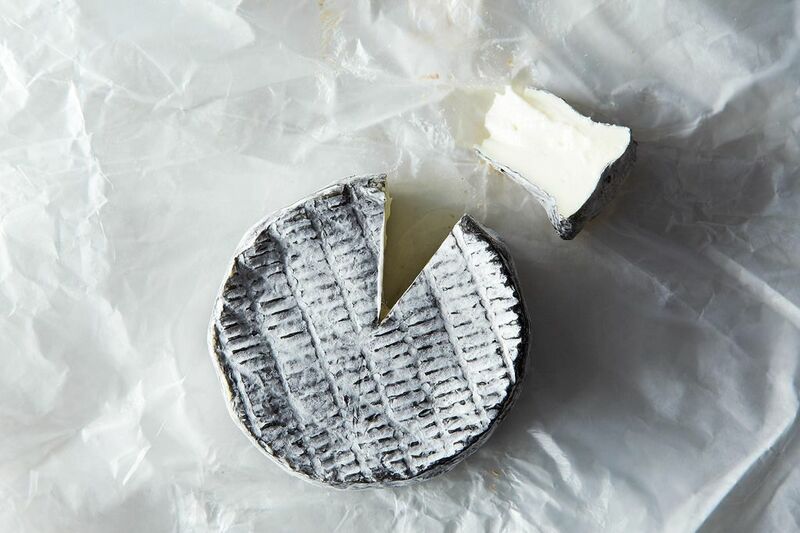 To appreciate the complexities of our most beloved dairy, we’ll be discussing four things: external appearance, smell and aroma, taste, and texture. Overwhelmed? Don’t be. We’ll break down each of these vague and deceivingly simple criterions into deliciously digestible bites. Let’s take our relationships with cheese to the next level. Consider this as official permission to take a good look at your cheese’s appearance and judge away. A cheese is as much about what it looks like as what it tastes like. Its shape, rind, and color can all be indicators of its overall condition, type of milk, and style, which ultimately inform its aroma, taste, and texture. Just remember: a cheese doesn’t have to be pretty to taste good. As a cheese ripens, the rind imparts a great deal of flavor and aroma. As such, eating the rind with the paste will give you a more complex impression of the cheese itself. Ask your local cheese monger if you aren’t sure a rind is edible; they’ll be able to tell you about safety, storage, and pairings. But, not so fast! We’re just starting to get to know our cheese. Let’s not devour it -- yet. A cheese can have a crust of natural flowering molds (of a variety colors and textures) or a bloomy rind (such as Brie and Robiola), which is recognizable by its fuzzy coating of soft, white, noble molds. 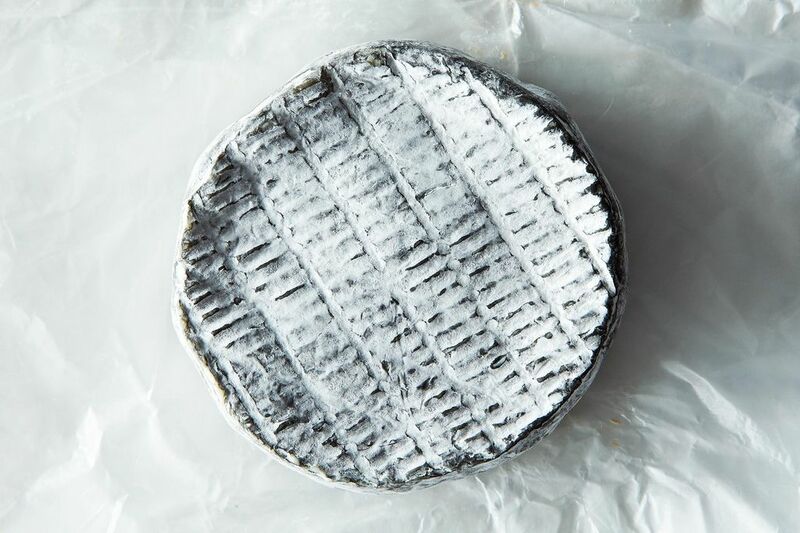 Furthermore, a rind can be brushed or washed with a brine or another liquid to impart flavor and select for certain microorganisms and discourage others that influence the cheese’s overall sensory impression. The more avant-garde cheese crowd might be covered in anything from ash, to herbs, to tobacco leaves. While no rind is perfect, look for a modicum of uniformity in the distribution of color and texture as an indicator of high quality. There are a few things left to look at before you can start sniffing (and, yes, eating). The consistency of the under-crust of the rind, also known as the nail, can be an indicator of a high quality cheese. The nail can be identified around the edges of the cheese, its color slightly different to the inner paste, forming a border to the rind. It should be a fairly even thickness all the way around. The next task for your eyes is to identify the color of the internal paste. In a high-quality cheese, color can be indicative of anything from type of raw milk, to natural additives, to age (some cheeses are suited for aging, others are not). Typically, the deeper and more intense the paste’s color, the more time it’s been ripened. Orange cheese (like Cheddar and Mimolette) is orange for the sake of aesthetics and tradition. The color results from the addition of annatto, a natural dye derived from the achiote plant. Yellow cheese is most often made with cow’s milk -- and a deep, buttery yellow is usually a result of higher-fat milk from a grass-fed cow. It is this butterfat in concert with the beta-carotene in a healthy cow’s diet that imparts a rich yellow color. 9 times out of 10, a truly white cheese is made from goat’s milk (which contains no beta-carotene) -- so even after months or years of aging, that cheese will still be pretty darn white. A blue cheese is blue because of mold that is added directly to the cheese by the producer. As these molds are exposed to air (by puncturing the cheese with long, hollow needles) and ripen, they turn to that familiar blue-green color we stinky-cheese-lovers associate with our cherished Roquefort and Gorgonzola. Lastly, we ask for you to look into the eyes of your cheese: the holes inside of it. Though they aren’t the windows to your Emmenthaler’s soul, they do reveal the process by which bacteria form holes in the paste through the production of carbon dioxide. A cheese can have no eyes, round eyes, or lengthened partridge (almond shaped) eyes. Irregularly shaped eyes, like in Roquefort, are normal -- however, the distribution of those eyes over the paste’s surface should be relatively uniform. More: How to Find the Best Artisan Cheeses, Anywhere. Smell and Aroma: Is there a difference? 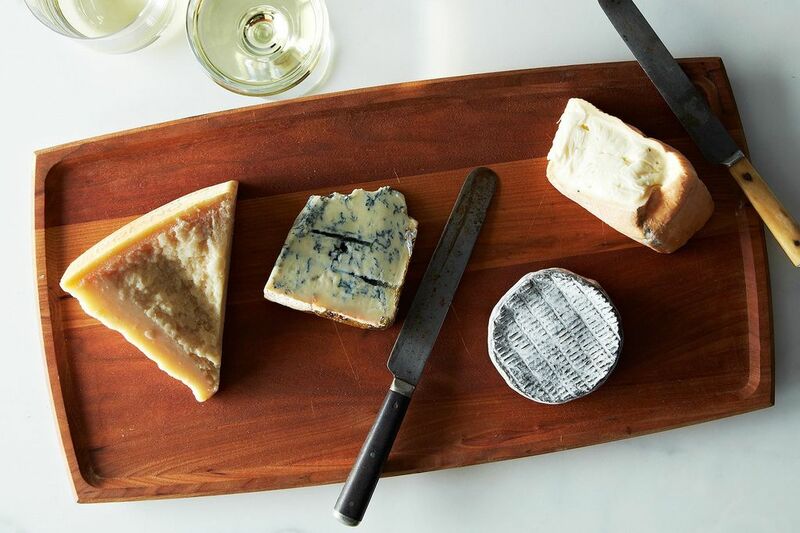 There are more than 200 different chemical compounds responsible for the smells and aromas in cheeses. First things first: smell and aroma are two distinct features. Simply put: You detect smell with your nose only, and aroma with your nose and mouth working together as you chew. Smells and aromas fall mostly into the following categories: lactic (fresh or rendered milk and butter, for example), vegetal (which also includes notes like earth and freshly mown grass), floral, fruity, toasted (such as brioche, toffee, and roasted nuts), spicy, and animal (meat broth, animal hair, leather). Other common uncategorized impressions are of fermentation, ammonia, and sulfur. To detect smell, break the cheese under your nose and inhale slowly. You can repeat this exercise as many times as you like. Once you've identified what it smells like, you can begin analyzing its overall aroma by -- wait for it -- tasting. Take your time, chew thoughtfully, and observe how the the aromas change over time. Once you’ve determined which compounds are present in your cheese, ask yourself, “Is there a good relationship between nose and mouth?” That is, does it taste like it smells? Taste: Cheese isn’t salty (most of the time)! There are five tastes: sweet, salty, bitter, acidic, and umami. These are different than aromas, in that you aren’t identifying the flavor impression that your nose and mouth provide together. Instead, these are distinct, broader perceptions informed independently by your tongue and palate. Most of the tastes are intuitive, but we need to go over one in particular: salt. Why? Because cheese isn’t salty (most of the time). Salt will rarely be the dominant taste of a cheese -- that is, a good cheese is well seasoned but 'salty' should almost never be the first descriptor. 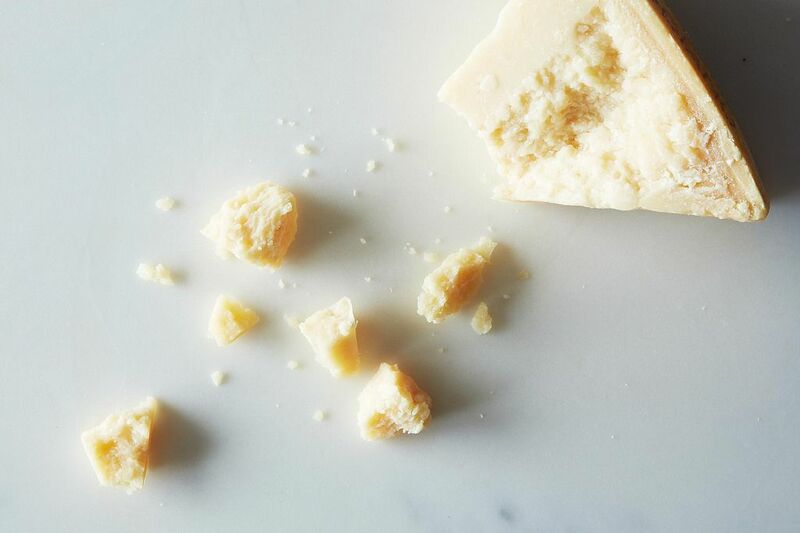 The overwhelming salty sensation that you may experience when eating a cheese like Parmesan is in fact the fifth taste, umami. Think of soy sauce or beef stock: that meaty, deeply comforting, and slightly inexplicable sensation that floods your mouth with each slurp. That’s umami -- and it’s incredibly rewarding. A truly salty cheese is harder to come by, and at first, difficult to tell apart from an umami-bomb like Parmesan. But, over time you’ll start to see the difference between how your mouth reacts to generously salty Taleggio as compared to your favorite grated pasta topper. As you chew, you’ll also become aware of the trigeminal, or physical sensations, you experience: these are pungent (like garlic), astringent (as are some tannic red wines), and metallic (think blood). Write off your next cheese binge as research because the more you eat, the more easily you’ll recognize these sensations. The last of component cheese to consider is its texture. Among the various descriptors you may use (lumpy, crunchy, elastic, crumbly, etc. ), there is one that’s most important. 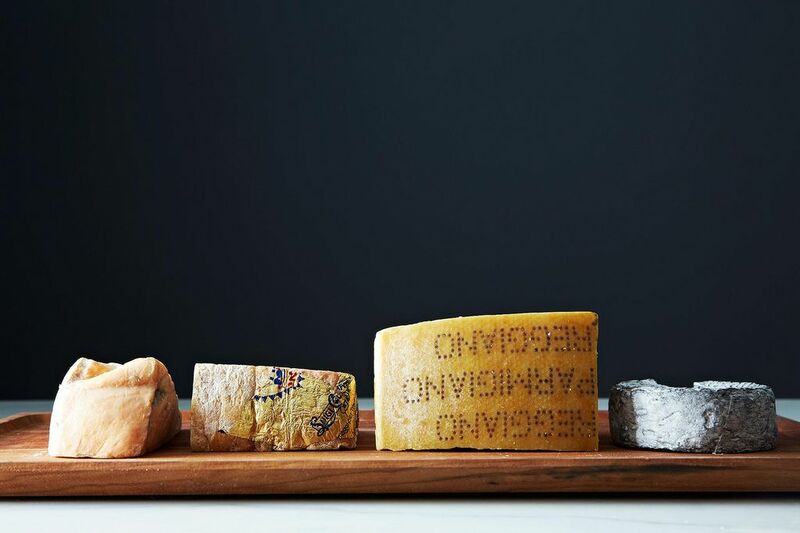 A good quality cheese will be highly soluble, giving you the sensation that it melts in your mouth -- and really, what more could you want (besides another bite)? More: Cheese is alive! Learn how to store it. So there you have it -- a beginner's guide to cheese tasting. Armed with this vocabularly, you'll impress everyone from your cheese monger to your snobbiest foodie friends. You'll ask your waiter the right questions when ordering dessert and nod knowingly at his answers. Feeling excessively cerebral, you might even catch yourself popping a pinky from your wine stem when savouring an elegantly curated cheese plate at home. After this, you'll never look at cheese the same way -- you're in too deep. Could you tell me the name of the round bloomy rind cheese pictured here? Thank you! Carboncino -- an Italian cheese made from a blend of cow, goat, and sheep milk and covered in vegetable ash (from Eataly)!